Recently I had a conversation with a woman whom I respect greatly, she also happens to be someone I have had many political disagreements with. Some minor, others of a more serious nature. You see back in 2010, she and I were on opposite sides of a heated GOP primary race, I am sure that you can all guess which race I am speaking of, and I hope we can keep this about the topic at hand, and not have to rehash old battles. Because you see, that is exactly what I am writing about, getting past the old battles. There is no doubt that there were cracks in the GOP sidewalk long before that fateful 2010 primary, that race was just the water that got down into the crack and froze, and expanded until it completely busted the once solid surface into pieces. The question is now whether or not we can repair that crack. Can we look towards the future, or are we doomed to repeat the past? Can both sides of that old battle come together to defeat the real opposition in this state? The Democrats. I won’t sit here and attempt to paint over the cracks, in the hope that no one will see them, or trip over them. We have to first face the fact that there is plenty of blame to go around about why the Delaware GOP has been in a downward spiral as of late. It would be foolish for either side to deny their role in the demise of the Delaware GOP. Some will tell you that it began in 2006, but I truly believe that it had begun long before that, and 2010 was simply the breaking point. There had been an ongoing battle for control of the state GOP in Delaware. The one side saw itself as the outsiders of the GOP, and felt that they were the true conservatives. These so-called outsiders were tired of being taken for granted, they wanted to have more say in the direction that the party was taking, a direction they felt too closely mirrored that of the opposition, the Democrats. 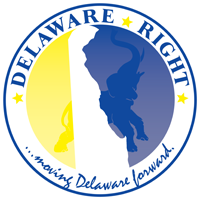 They wanted to turn the Delaware GOP more towards the right, towards a more traditional version of conservatism. One that recognized the responsibility of the individual for their own actions, and one that held more closely to our country’s founding principles. I was among these so-called outsiders, I wrote, and worked in an effort to make changes that would allow that more traditional voice of conservatism to be heard. And while we had a small amount of success, we failed to reach the mountain top, we won the primary, and lost the general election. This primary became an ever-widening crack between the two warring faction within the Delaware GOP. In the years following, the Delaware GOP has failed to pull itself back together, to once again mount a true challenge against the opposition, the Democrats. We have wasted our time, our efforts, and our candidates in battles among ourselves, while the opposition, the Democrats, have strolled to one party rule in this state. This has allowed them to impose their radical liberal agenda upon all citizens of the state of Delaware. This agenda has included legalizing more and more types of gambling, it has included homosexual marriage, laws that allow men, dressed as women, to share public restrooms with our wives and daughters, and a never-ending attack on our constitutional right to keep and bear arms. While we within the GOP have been pointing fingers at each other about whose fault it is, the Democrats have been laughing and winning election with no real opposition. Oh sure we have had our small victories here in Sussex County, we added Sen. Lopez out of the newly created 6th senatorial district, and Rep. Smyk in the 20th. However, we have failed to translate those victories into wins up state, or statewide. We have been too busy settling old scores. Well it’s time to stop. It’s time to see the truth. And that truth is that we are all to blame for what happened in 2010. And anyone who comes here to argue that old battle is doing nothing but electing Democrats. In 2010 and after, you had the one side who felt they had been ambushed, they felt they had done a good job winning elections in the past, and that the new comers had cost them what they felt was a sure thing. The new comers felt that after the primary, the “establishment” had stayed home and failed to support the primary winner. And do you know what? They both were right. They both had good reason to be angry and to hold the other responsible. But the time has come to realize, that if the two sides don’t come together, then the opposition, the real opposition, will soon make the Delaware GOP a thing of the past. I want to return to my good friend whom I had my conversation with, and I do consider her a good friend. During those trying days, weeks and months in 2010, we often clashed and argued, you see she was of the old guard, and I was one of those new comers who wanted in. On several occasions angry words were exchanged and accusations were made. Recently we have been able to put that behind us, oh we still disagree about what happened and whose fault it was, but we both realize that if we don’t work together to win elections, then we will have no say in the direction of the state and the nation. I do not regret anything I did in 2010, and she holds to her principles as well, and I believe that we respect each other for that. Holding to principles while trying to find compromise is not easy, but it can be done, as my friend and I are proof of that. To all of my fellow Republicans, on both sides of the crack, you had better wake-up, you had better open your eyes, you had better put your pride aside, and you had better reach out to those who you once fought against. For if we do not stand together, then the Delaware GOP will surely fall. 12 Comments on "Is It Even Possible?" Untill people stop accepting the falacy that ” no loaf is better than 1/2 loaf ” we will continue to stay un-united. I think the words you are looking for are, “cutting off your nose to spite your face”. Apparently you and your friend, although on opposite sides, still feel great loyalty to the GOP. Unfortunately too many reliable Republican party voters have opted to abandon a party that they view as having been captured by extremists. The formerly reliable Republican stronghold of Brandywine Hundred is now at best a swing area and at worst a reliable base for moderate Democrats. One of the causes for that transformation was the alienation of middle of the road Republicans by an increasingly conservative Republican party. Putting the old battles behind us may be of value to the party that remains, but a very large number of former Republican loyalists no longer consider themselves members of the party have already moved on and don’t care about the remaining intraparty fights. 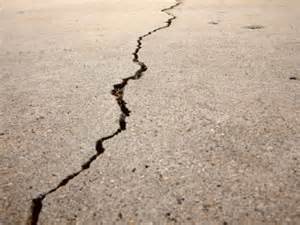 Getting rid of the cracks may be a good idea, but once they are paved over, fewer Republican partisans remain to cross the divide. …too many reliable Republican party voters have opted to abandon a party that they view as having been captured by extremists. Exactly who are the ‘extremists’ that have ‘captured’ the party? Before O’Donnell, how many House seats did the GOP hold from SOSNCC? So, what’s the difference? As liberals flee high-tax states for their retirement, and bring their voting patterns to Sussex with them, the GOP will wither-away completely. We will join VT, MA, CT, RI, NJ, and MD as one-party states. Nationally, I could argue that the ‘moderate, cross-the-aisle’ extremists who gave us McCain and Romney are a bigger problem than what goes on here in Delaware. Conservatives win, finger-in-the-wind’ers lose. Jabbernow, all valid points, but to just give up to the Democrats in my view is not an option. I am not saying that one election cycle will turn it all around, but I believe that it is possible, but not however, if we fail to find common ground. There’s not much to be optimistic about in Delaware. The only question is, with the influx of retirees, how long can the GOP hold Sussex? Nationally, I am optimistic about the GOP’s chances at the Senate. Well Rick, one thing is for sure, if we do nothing, if we simply concede, if we take your view, then all is lost for sure. I prefer to think that conservatism still can find a foot hold in this state, and that the GOP is still the best vehicle for it. I feel that it has been the methods used to deliver the message that has caused people to move away from the GOP. First the GOP was too much like the Democrats, and then we swung too far to the right, and now the constant battling within has given the perception that all is lost. We must find that common ground and work to defeat the opposition, the Democrats. Those who bewail the state of the GOP, need to take comfort in the fact that the country is no worse for the demise of the Whig party. Who is “we?” And where? At the national level, the GOP moved to the left, by following the advice of Chris Matthews and nominating cross-the -aisle moderates like McCain and Romney. What happened? At the state level, all the GOP can do is hold Sussex (for a while). The most that upstate country-club Republicans can do is to slow the leftward agenda, not stop it. I suppose that only when the Socialist-Democrats have bankrupted the state will people wake-up, and face the fact that there is no free lunch. This applies to VT, MA and so on, too. The larger question is, why have the northeastern states (and, California) become one-party, “liberal” states? Does it have something to do with urban populations, where more government “services” are expected? Well Rick the “we” is the Delaware GOP since I am a member of the party I guess I can use the royal “we”. Now imagine if as I suggest in my post that these two warring factions of the state GOP were to actually work together? We have to recognize that the people who can get elected in Sussex as Republicans could never win in New Castle. So why do Republicans in Sussex spend so much time trying to destroy Republicans who can? Maybe we should work as a state party and seek to get Republicans elected so that we can control the committees and the agenda. …people who can get elected in Sussex as Republicans could never win in New Castle. So why do Republicans in Sussex spend so much time trying to destroy Republicans who can? Are there any Republicans in SOSNCC? Admittedly, I tend to focus on national trends. I doubt that I could name a contemporary NCC Republican office-holder. I am resigned to the fate Delaware faces. Decades of Rhode Island syndrome; I’ve observed the same pattern elsewhere. You know Rick, if you always expect to be disappointed, you never will be.